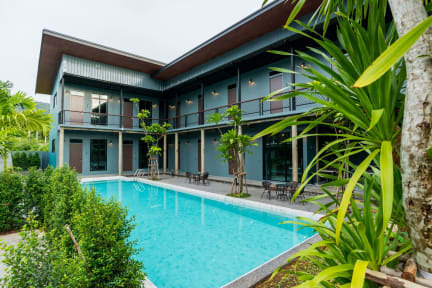 Link Hostel Aonang i Krabi, Thailand : Boka nu! 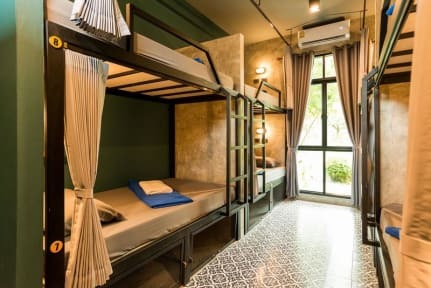 A nice clean hostel with warm showers. They provided crackers, tea, coffee and water all day which was nice. The pool was really nice too. However it was a very stiff vibe and nobody talked to each other, but if you’re into personal space it’s great. You really need to take a taxi everywhere or drive a motorbike but it didn’t bother us too much. Wifi was unreliable and turned on and off all the time. Overall, we were happy with our stay.